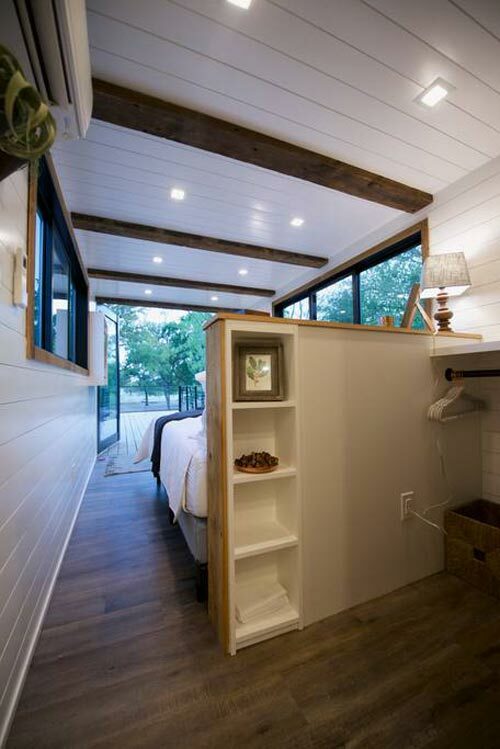 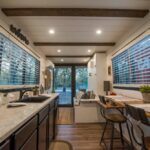 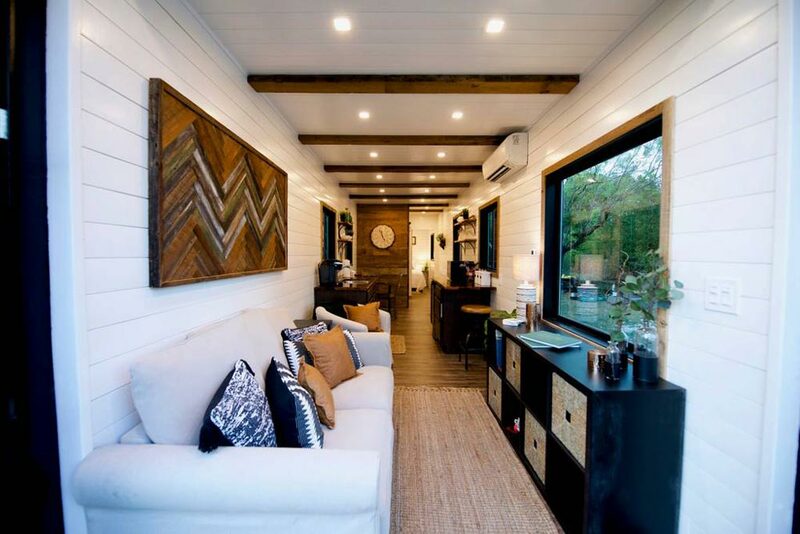 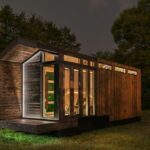 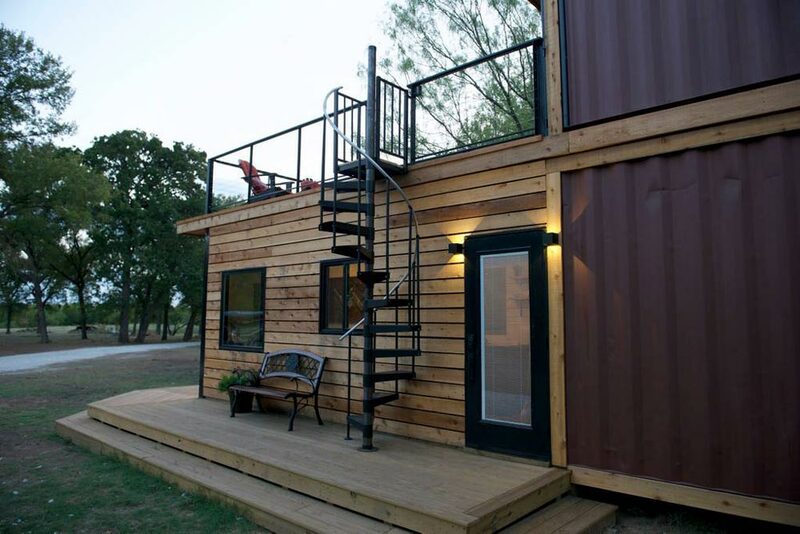 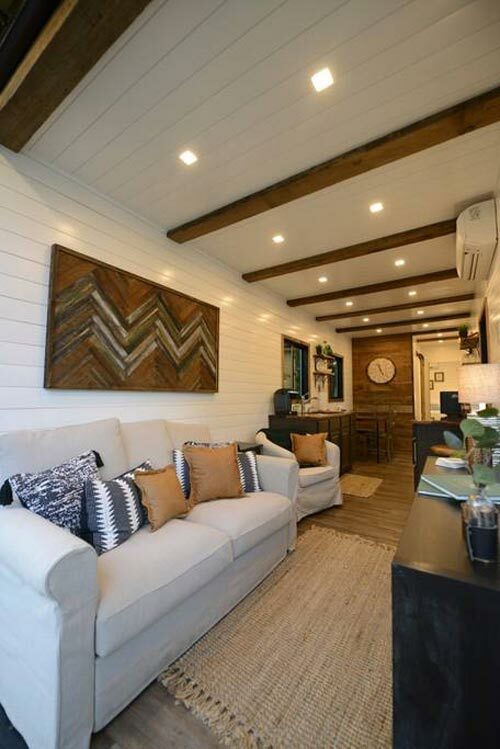 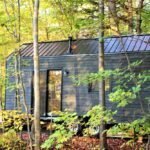 From Waco, Texas-based CargoHome is the Helm, a two-story shipping container tiny home. 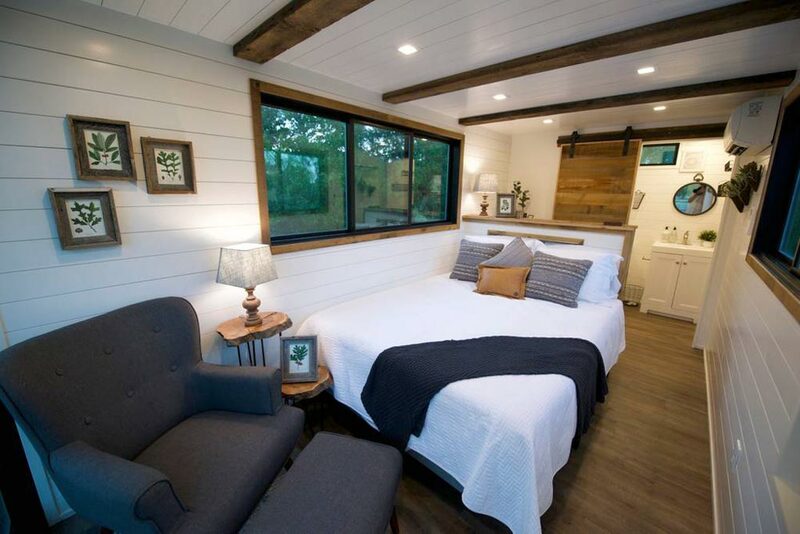 The home has two bedrooms with queen size beds and an air mattress in the living area, providing accommodations for up to six people. 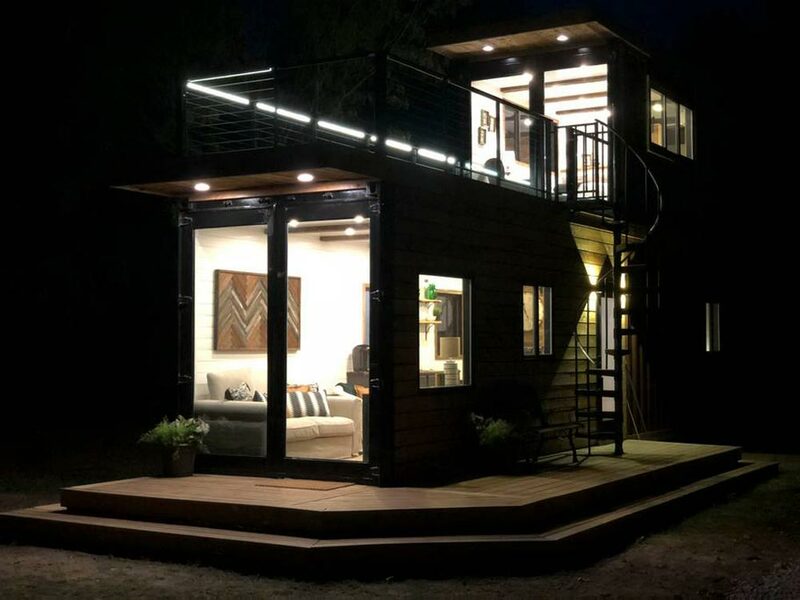 The home is available for nightly rental through Airbnb. 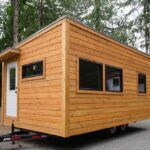 The Helm consists of a 40-foot bottom container and 20-foot top container. 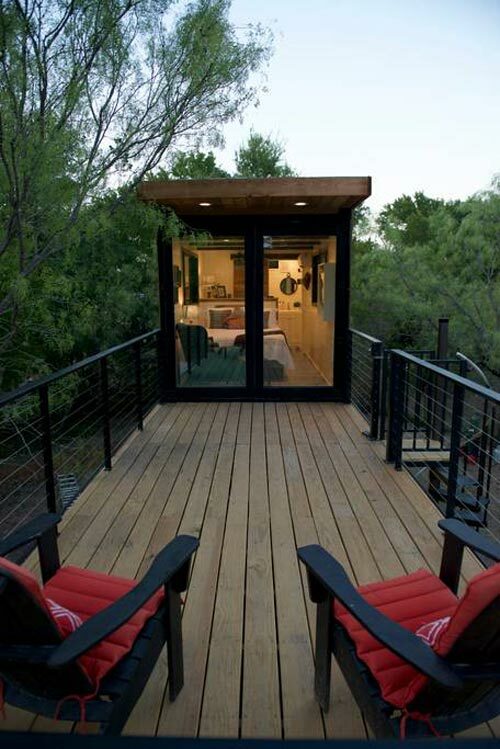 This allows for a 20-foot rooftop deck with access from the top bedroom and a spiral staircase. 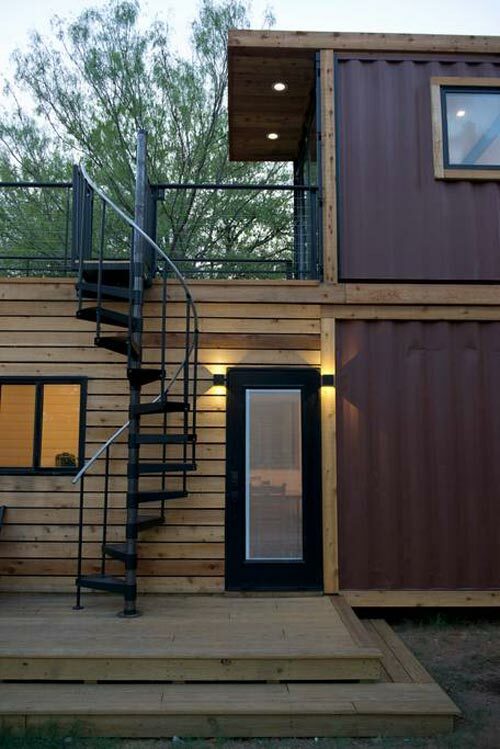 The bottom container is 9.5′ tall and the top one is 8′ tall. 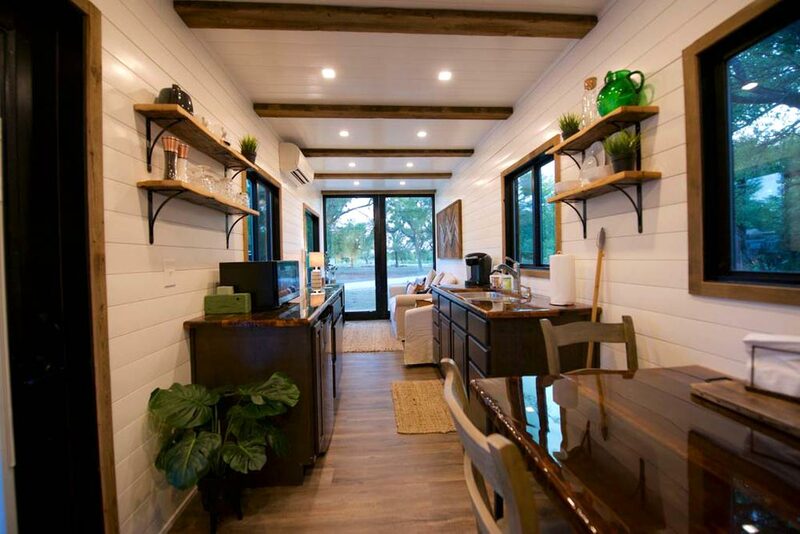 CargoHome replaced the original container doors with full glass doors and added a side entry door. 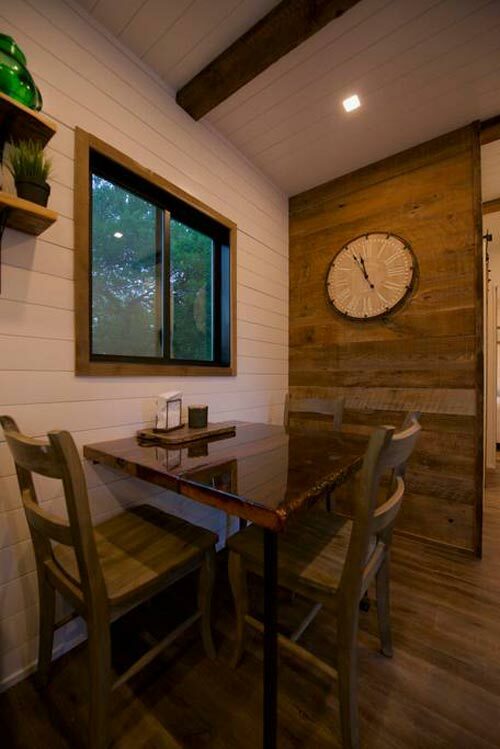 The exterior is partially clad in cedar siding, while the interior is paneled with pine shiplap and trimmed with 100+ year old barnwood. 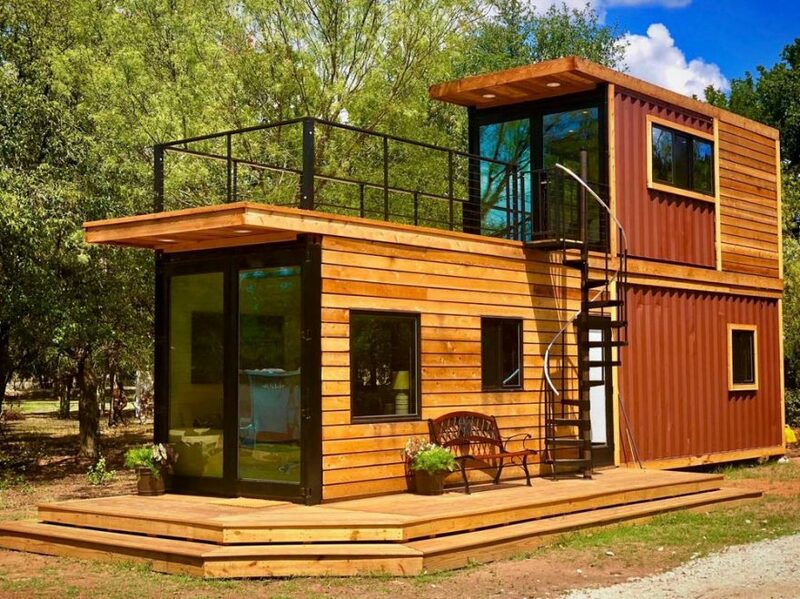 The downstairs container includes the main living area, kitchen and dining area, bedroom, and bathroom. 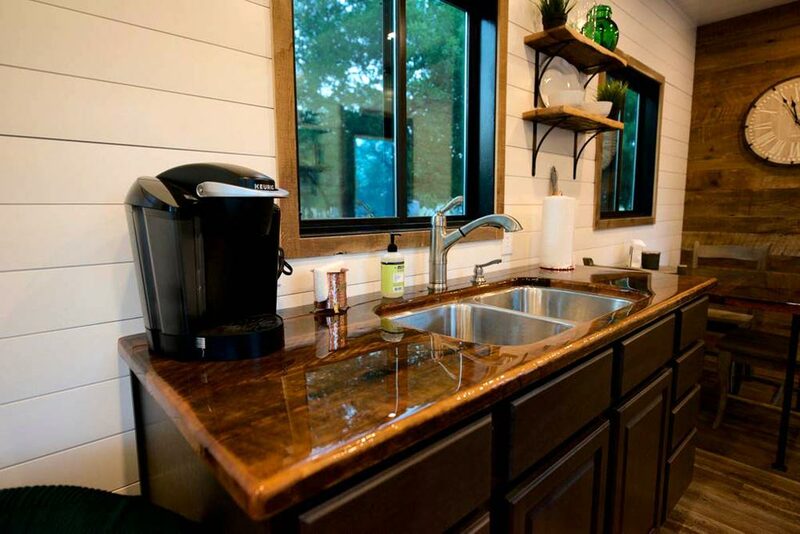 The kitchen counter and dining table are made from barnwood. 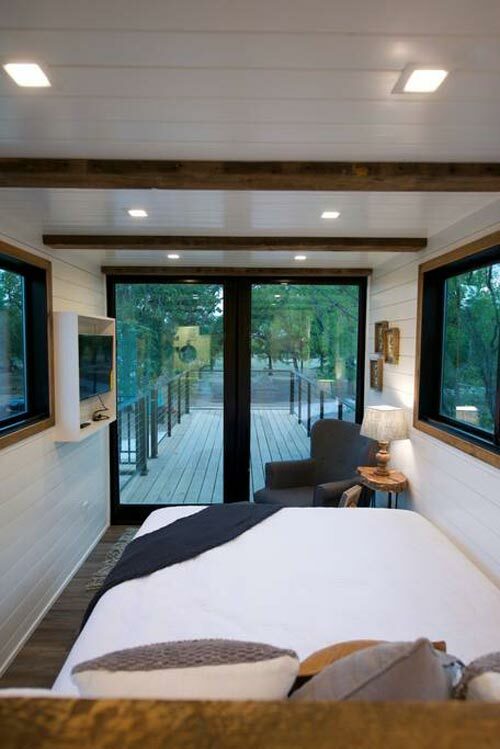 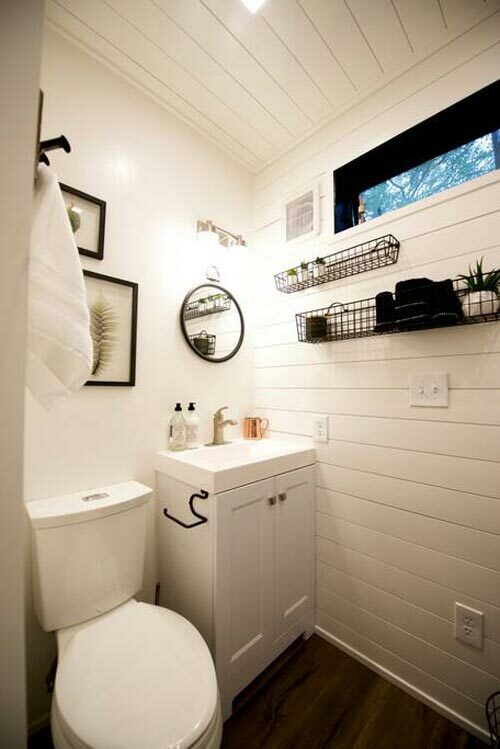 The upstairs container includes a second bedroom with queen size bed, closet area, and its own private bathroom. 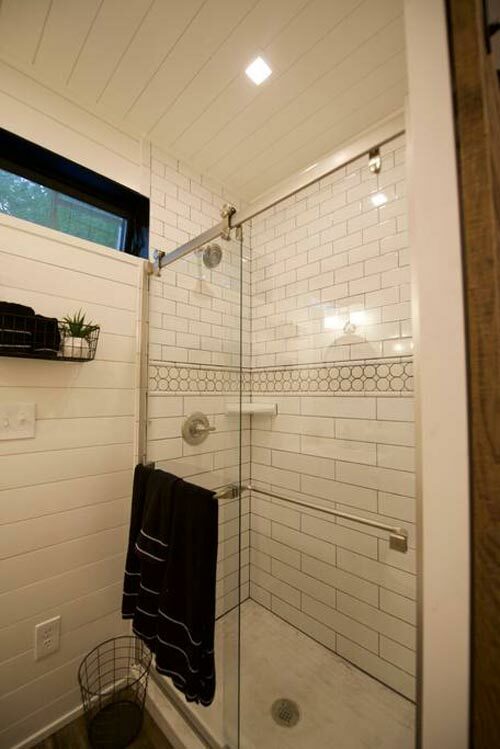 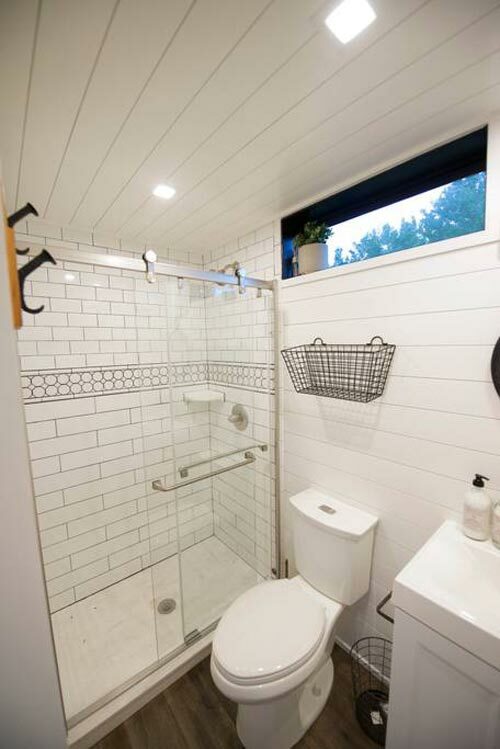 Each bathroom has a tile shower, vanity, and toilet. 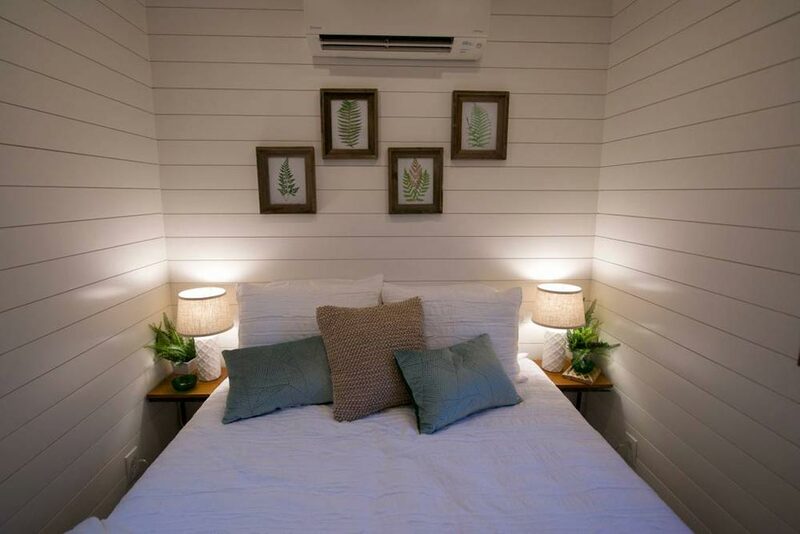 Nightly rates start at $142 USD. 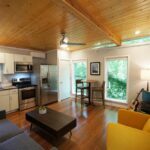 For availability and price quotes for the rental, you can visit their Airbnb listing. 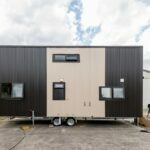 For information about the construction of the Helm, please contact the builder, CargoHome. 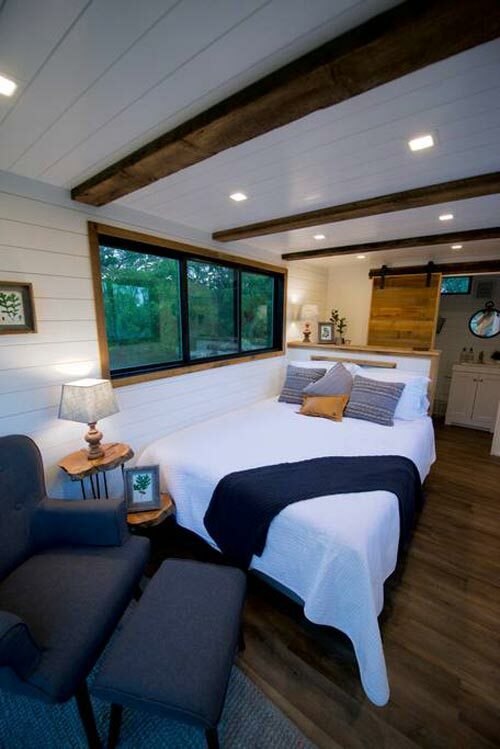 Also available from CargoHome: Anchor, Mainsail.